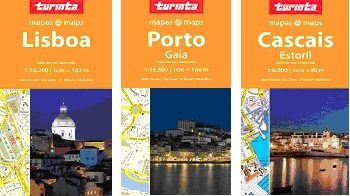 Turinta is the only Portuguese publisher who covers the whole country with 5 regional maps. 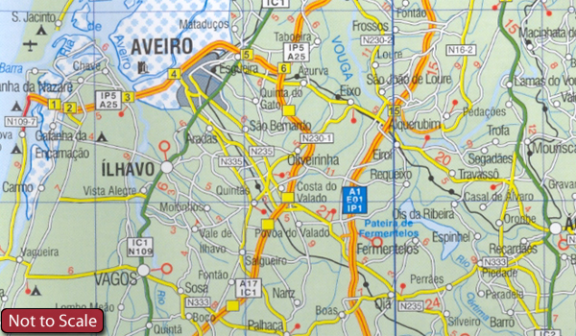 These regional maps, with the exception of the Algarve one, show the combination of geographical information and GPS references. All these 5 maps include an index of places and street plans of main cities in the region. The maps show the road and rail networks on a base with altitude coloring and highlight various places of interest and facilities. Cartography varies slightly according to the map scale. Turinta delivers informative and clear street plans. Main sites and places of interest are prominently highlighted. Colors distinguish different road sizes, zones and parks. Specific detail includes metro underground lines and stations, railways and ferry locations. Arterial traffic routes and car parks are also highlighted. 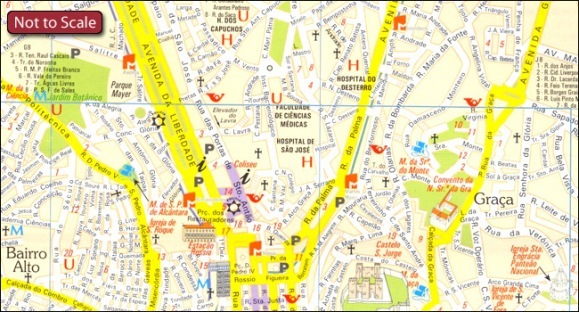 A range of symbols indicate tourist information centers, churches, municipal buildings and local public services. The map is fully indexed alphabetically. Detailed insets depict central Lisbon in greater detail as well as the entire Metro station network.